This event evoking the true spirit of Christmas was organized by yoga teacher Birgitta Thomsen, a gentle and joyful woman irradiating warmth and peace, founder of Monte+Carma, and a supporter of the White Feather Foundation, to raise funds and awareness for this association’s worthy causes through her free yoga gatherings. We proceeded to go through a very intense yoga workout, including standing on one leg and some even doing headstands, all while concentrating on our breathing and being in the moment. Our hearts were beating fast, our bodies warmed up and we finally arrived to the well-deserved relaxation part where we quieted down. Doing the headstand, not easy! Upon leaving Birgitta offered each of us one of the beautifully oranges decorated with cinnamon clovers, small branches of fresh pine, and the heart shape signs of our choice, to take with us as souvenirs of that moment of peace and love. We were all feeling a kind of lightness in our souls, actually we felt like feathers! The White Feather Foundation created by Julian Lennon in 2007, is a charitable registered trust that was conceived by the desire to do good and to give back to society, supporting environmental and humanitarian causes raising funds to improve life for all beings in our planet. It primarily focuses on one of the most pressing problems that plague the developing world, one natural resource that is essential for living: Clean Water for all. « Dad once said to me, that should he pass away, if there was some way of letting me know he was going to be ok – that we were all going to be ok – the message would come to me in the for of a White Feather. Then something happened to me, whilst on tour with the album Photograph Smile, in Australia. I was presented with a White Feather by an Aboriginal tribal elder, from the Mirning people, which definitely took my breath away. 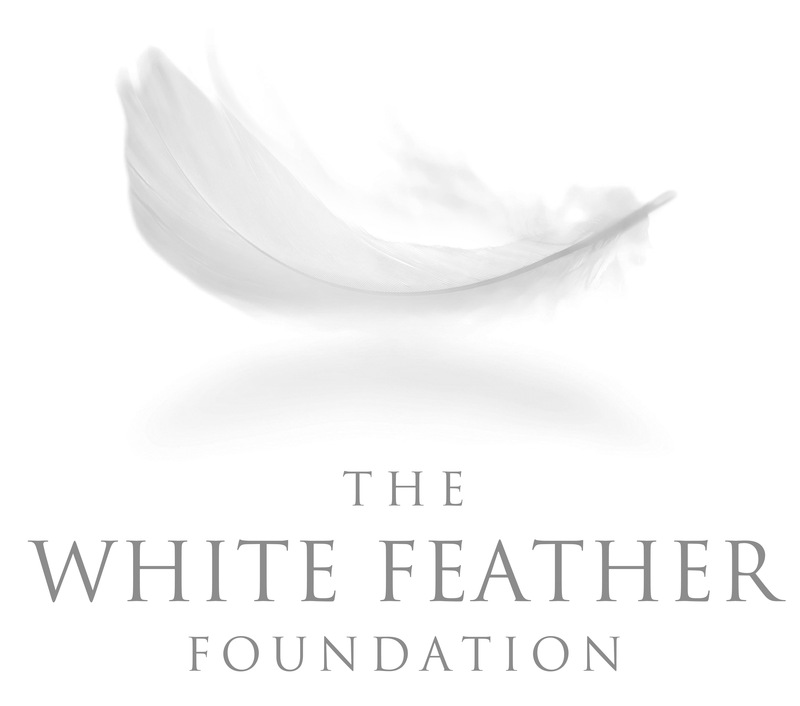 The White Feather Foundation was created for the purpose of giving a voice and support to those who cannot be heard. The tribal elders asked me for help, as I could bring awareness to their plight and to others who were suffering the same. Having had the White Feather bestowed upon me, I knew this endeavor was to be part of my destiny. One thing for sure is that the White Feather has always represented peace to me, as well as communication… » Julian Lennon, 2009, from the White Feather Foundation site.